DETROIT, Mich. January 8, 2006 The all-new 2007 Hyundai Santa Fe made its North American debut today at the 2006 North American International Auto Show (NAIAS). 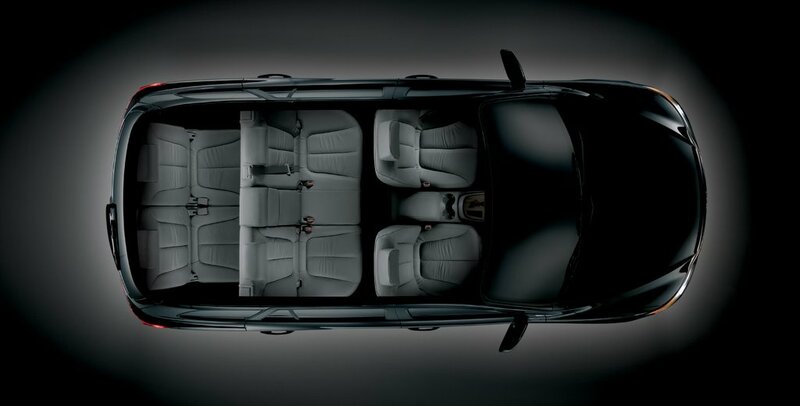 With its segment-leading standard safety technologies, all-new unibody SUV platform, bold new styling, a choice of fuel-efficient V6 powertrains, and Hyundai's first SUV third-row seat, the Santa Fe becomes a "must-drive" for consumers shopping in the crossover segment. As the first production vehicle designed at Hyundai's design center in Irvine, Calif., the Santa Fe is targeted to meet American consumers' demand for safety, style, sophistication and performance. Before designing it, however, Hyundai engineers benchmarked the world's leading unibody SUVs, including the Lexus RX, Acura MDX and Volvo XC90. 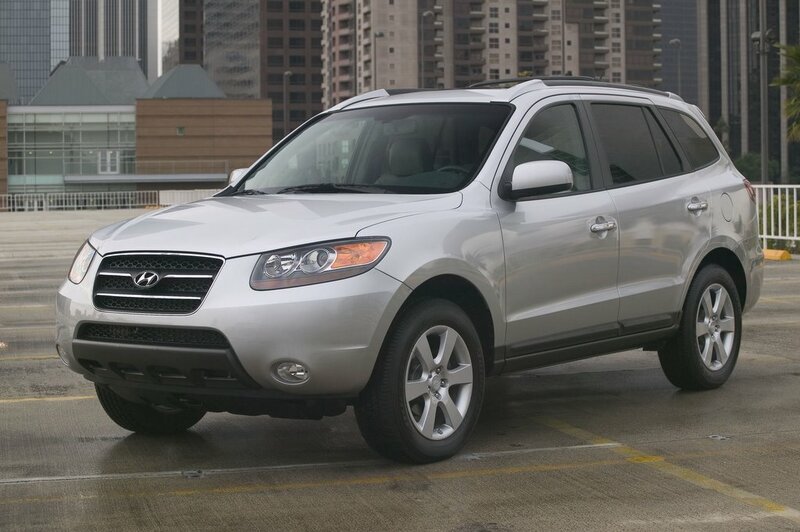 The result is a more exciting and upscale Santa Fe that combines the best attributes of SUVs with the driving character of a mid-size sedan. Hyundai packed the all-new Santa Fe with the industry's most effective safety technologies, including Electronic Stability Control (ESC), anti-whiplash active head restraints and six airbags including side air curtains, which help protect occupants in all three rows during side impacts. CHOICE OF V6 ENGINES Santa Fe will be available with a choice of two powerful and efficient V6 engines: the new 2.7-liter Mu and the modern 3.3-liter Lambda. The standard 2.7-liter V6 is upgraded for 2007 and now includes Variable Valve Timing and a Variable Intake System to produce more than 180 horsepower and 180 lb.-ft. of torque (preliminary estimates). 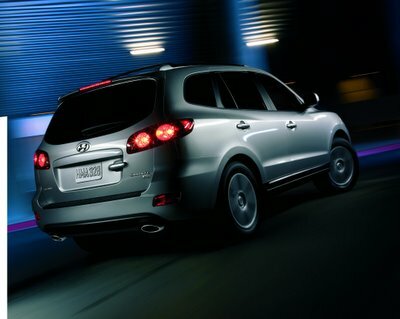 This new 2.7-liter V6 produces more horsepower and torque than its predecessor, with improved fuel economy. The 3.3-liter Lambda V6 is lighter, more fuel efficient and cleaner burning than the previous-generation Santa Fe 3.5-liter V6, while producing an additional 30 horsepower. Preliminary output estimates are more than 230 horsepower and 220 lb.-ft. of torque. 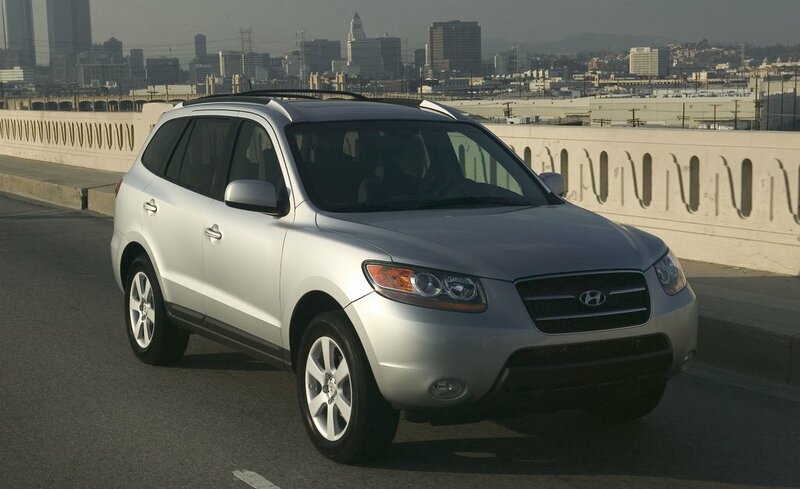 SEGMENT-LEADING SAFETY The all-new 2007 Santa Fe continues Hyundai's leadership in standardizing the industry's most effective safety technologies. The new Santa Fe features six standard airbags, including side air curtains for all three rows of seats. 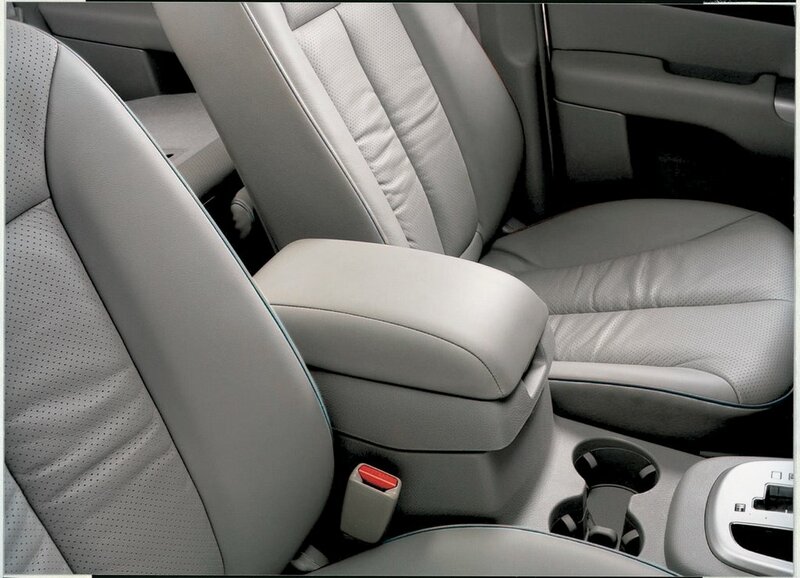 The combination of side and curtain airbags, which help protect the head and body during side impacts, can reduce fatalities by more than 45 percent, according to the Insurance Institute for Highway Safety (IIHS). Side curtain air protection is optional on many compact and mid-size SUVs, including Toyota RAV4, Toyota Highlander and Ford Explorer. 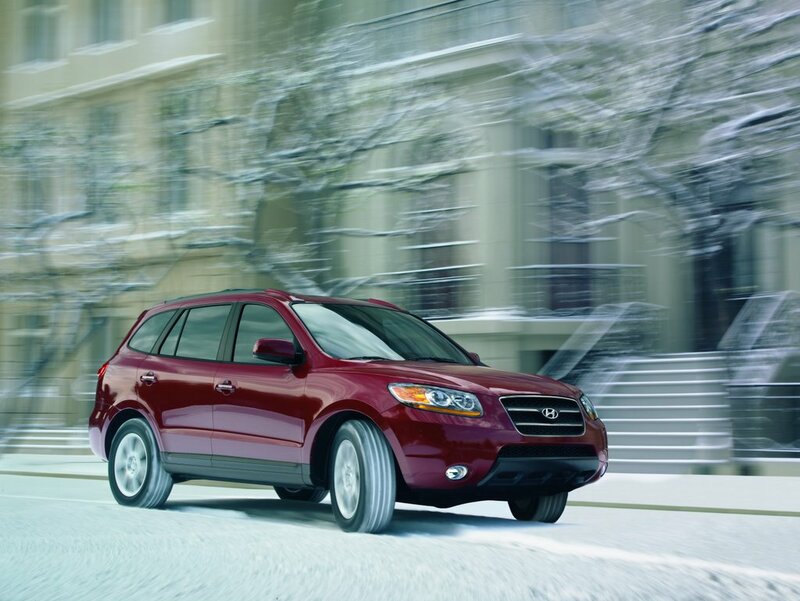 In addition, all Santa Fe trim levels come standard with Electronic Stability Control (ESC), one of the industry's most effective life-saving technologies. 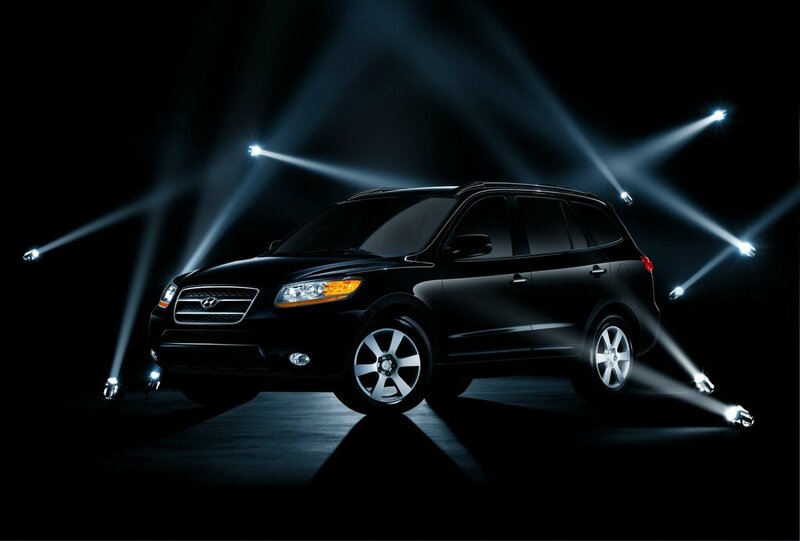 NHTSA studies show SUVs equipped with ESC experience 63 percent fewer fatalities in single-vehicle crashes. Santa Fe joins Tucson, Sonata, Azera, and Entourage as vehicles in Hyundai's growing lineup with standard Electronic Stability Control -- a commitment to this sophisticated and effective automotive safety technology that is unmatched by any other non-luxury automotive brand. Front and rear disc brakes are standard and are coupled with a four-channel Anti-lock Braking System (ABS) that includes Electronic Brake force Distribution (EBD) to optimize brake performance even with differing vehicle loading. BOLD DESIGN With dramatic new styling that is assertive, refined and confident, the all-new Santa Fe exterior showcases the evolving face of the Hyundai brand. At 184.1 inches long, the new Santa Fe is about seven inches longer than its predecessor, one inch wider and almost two inches taller. Its 2.9-inch wider track -- wider than Toyota Highlander or Ford Explorer -- provides a strong stance, improved handling and increased interior room. 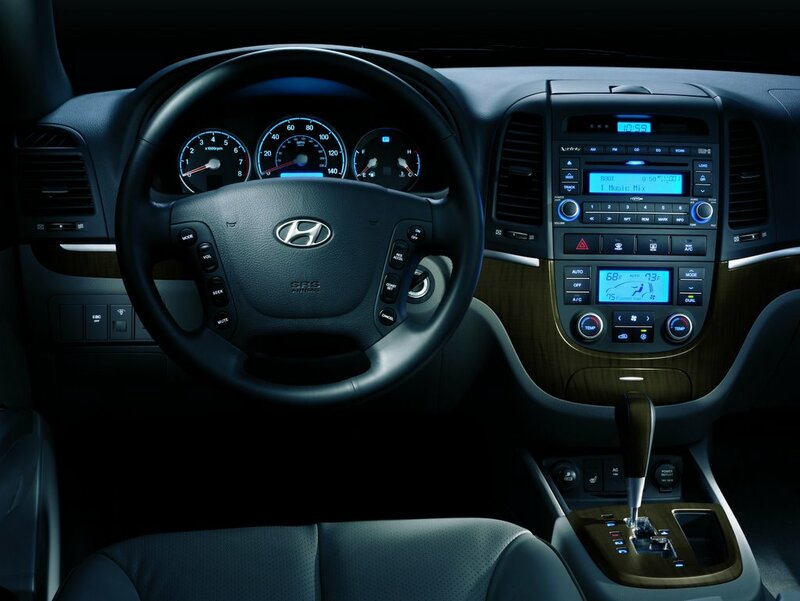 EFFICIENT INTERIOR The all-new 2007 Santa Fe is one of the most package-efficient crossovers on the market. Hyundai accomplished this by developing an all-new platform that avoids the compromises inherent in typical mid-size car/SUV platform sharing. 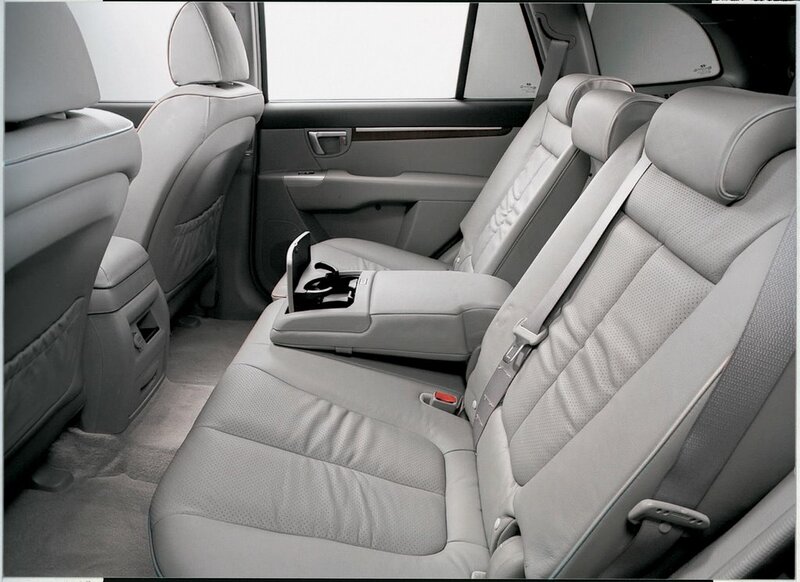 For example, although the 2007 Santa Fe is 2.1 inches shorter than the Lexus RX330, its first- and second-row seats have more head, leg, and shoulder room than the RX, with enough room left over to allow an optional third-row seat not available in the Lexus. ALL-NEW, PURPOSE-BUILT PLATFORM The second-generation Santa Fe rides on an all-new, purpose-built unibody SUV platform with a 106.3-inch wheelbase that is 3.2 inches longer than its predecessor. 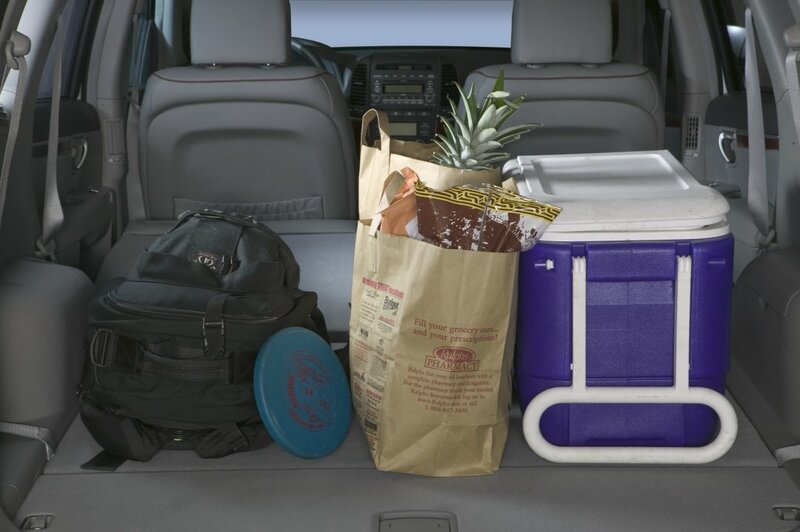 This chassis was specifically designed to deliver more of the ride and handling balance that resonates with crossover shoppers. 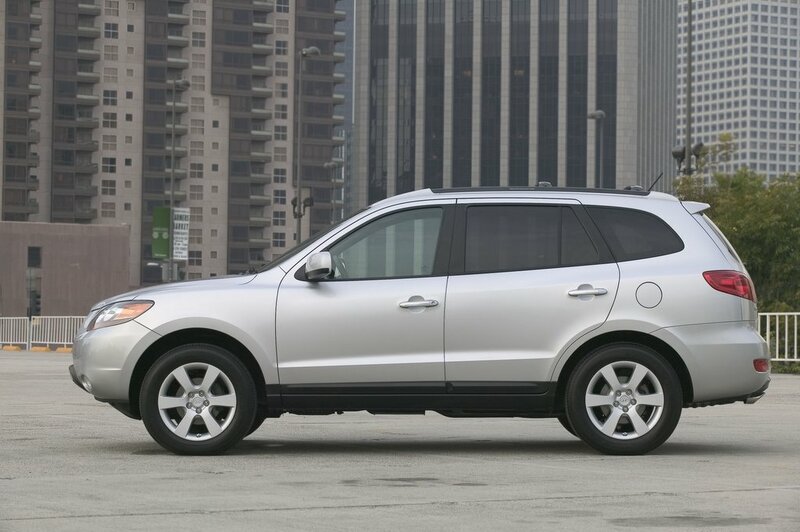 The 2007 Santa Fe achieves a 50-percent improvement in body bending rigidity over the prior model and is 59 percent stiffer than Toyota Highlander. 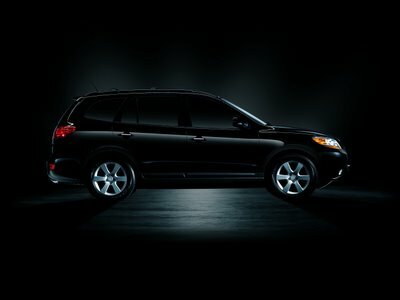 This stiff body structure provides a more refined sedan-like ride. 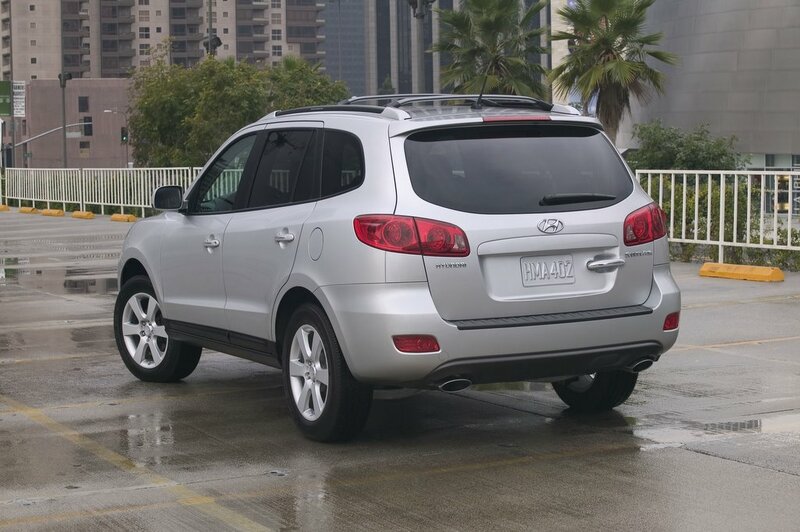 Thanks to the new suspension geometry and wider track width (which enables greater turn angles), Hyundai engineers tightened Santa Fe's turning circle by nearly two feet -- an advantage Santa Fe drivers will appreciate in their daily driving. HYUNDAI VALUE A well-equipped 2007 Santa Fe, with standard Electronic Stability Control, six airbags, anti-whiplash active front head restraints, tire pressure monitoring system, air conditioning, power windows, power locks, heated power mirrors, cruise control, AM/FM/CD/MP3 player, 16-inch aluminum wheels, dual exhausts and roof rack will be priced thousands of dollars below a comparably-equipped Toyota Highlander, carrying on the Santa Fe tradition of exceptional value. 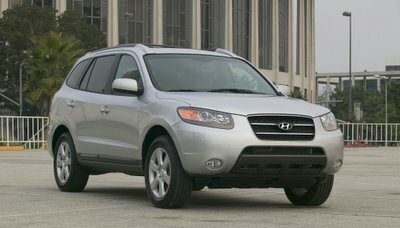 DOMESTIC PRODUCTION The 2007 Santa Fe will be built at Hyundai Motor Manufacturing America (HMMA) in Montgomery, Ala. Production of the Santa Fe is scheduled to begin in the second quarter of 2006, with vehicles arriving in dealerships during summer. By the end of 2006, Hyundai will manufacture more than half of its total U.S. sales volume in Alabama. HYUNDAI MOTOR AMERICA Hyundai Motor America, headquartered in Fountain Valley, Calif., is a subsidiary of Hyundai Motor Co. of Korea. 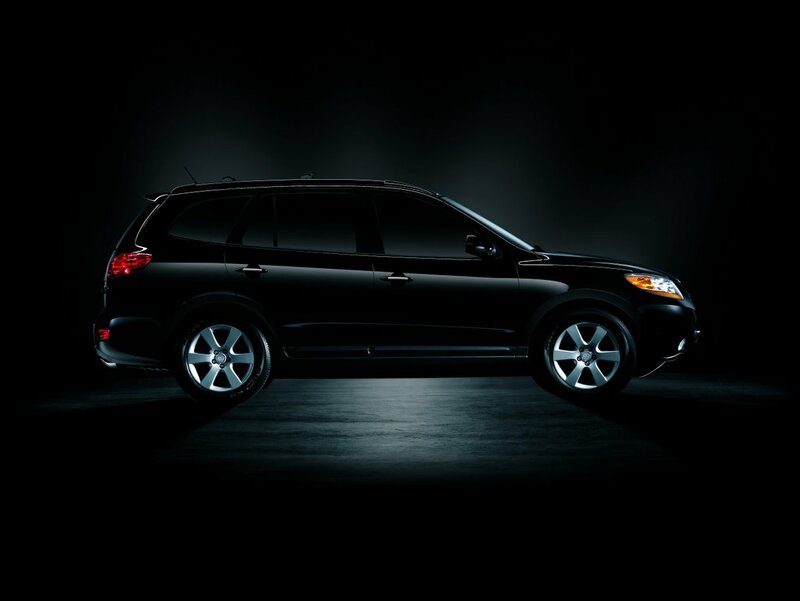 Hyundai vehicles are distributed throughout the United States by Hyundai Motor America and are sold and serviced through 695 dealerships nationwide. Source: Hyundai Motor America Always remember to visit for latest deals available Gary Rome Hyundai , Hyundai Accessory Store and Hyundai Performance Auto Parts.